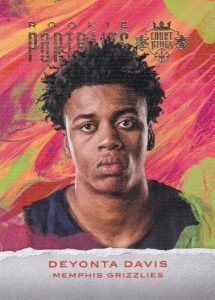 Showcasing a large color wheel and a focus on artistic designs, 2016-17 Panini Court Kings Basketball maintains its reputation as one of the more distinct NBA releases each year. 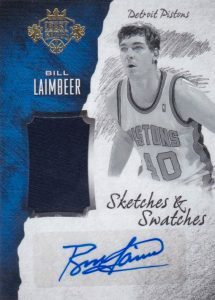 Collectors can find one memorabilia card and one autograph card in every hobby box. 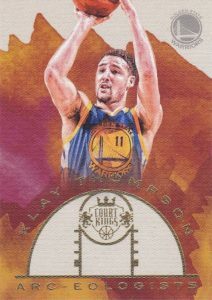 Like previous seasons, the base set is joined by multiple tiers of rookie cards, each with a different design. Starting with Rookies I, there are four total versions to chase for 25 first-year players. 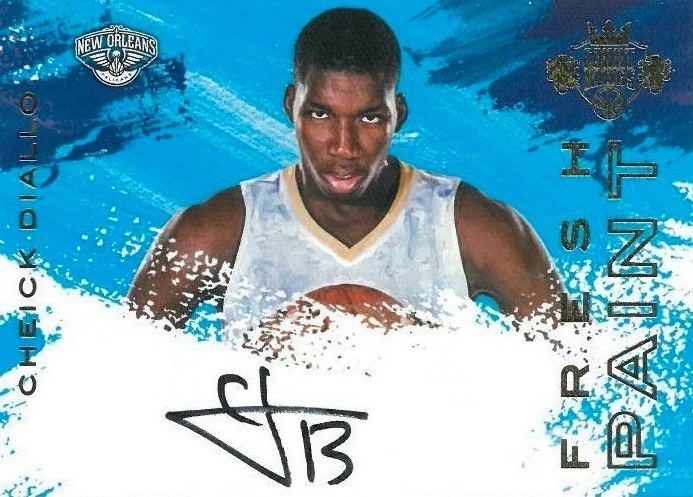 Also offering a rookie focus are the Fresh Paint and Fresh Paint Variation SP inserts with on-card signatures for key 2016 draftees set against a horizontal layout. 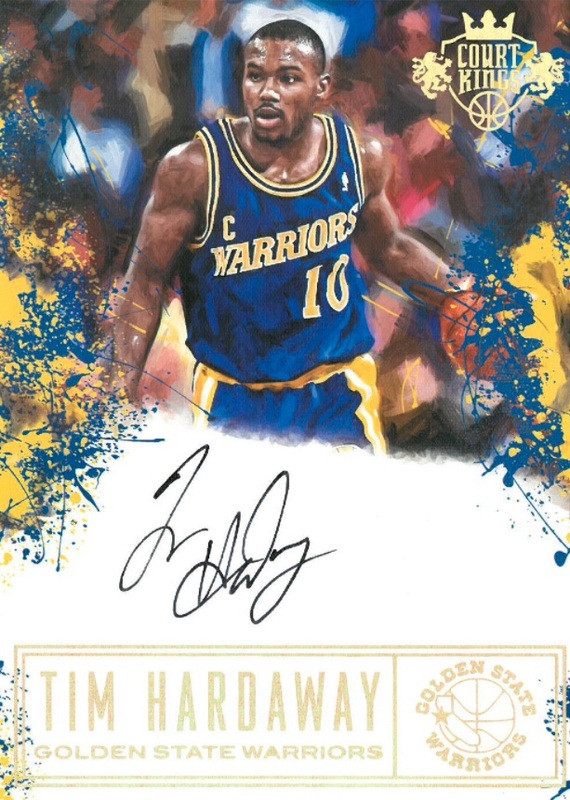 Heir Apparent is another hard-signed rookie autograph set. 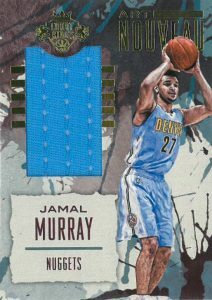 Representing the memorabilia cards that average one per box, The Performance Art Jerseys features the stats and images from the game where the jerseys were used. 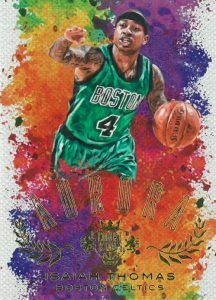 Taking a similar level of creativity as the base set, regular inserts in 2016-17 Panini Court Kings Basketball utilize several themes and a unique look. Among the five choices are AKA inserts, centered around player nicknames, as well as Arc-Eologists for the the best shooters in the league. More limited inserts include Aurora and Le Cinque Piu Belle. 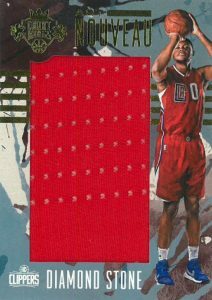 Another staple of 2016-17 Panini Court Kings Basketball, oversized box toppers fall in each box. Panoramics goes widescreen with impressive photography while Rookie Royalty looks back to the debut seasons for top players. 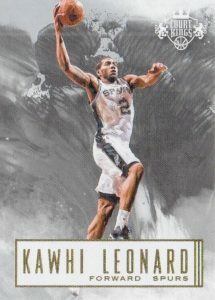 The rarest box topper option is Autographs which boasts on-card signatures for all-time greats. 2016-17 Court Kings Karl Anthony Towns Sketches & Swatches Jersey Auto 25! 2016-17 PANINI COURT KINGS DARIO SARIC RC FRESH PAINT AUTO ! SIXERS ! 40 cards. Serial Numbered #/200. PARALLEL CARDS: Prime #/10 (*Cards #2, 3, 10 - #/5), Masterpiece 1/1. 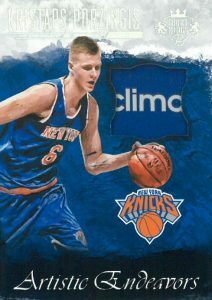 PARALLEL CARDS: Sapphire #/25, Prime #/10. 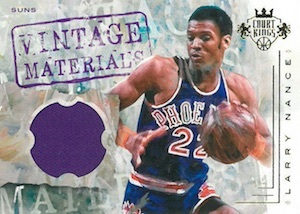 PARALLEL CARDS: Sapphire #/25, Nameplate #/14 or less. 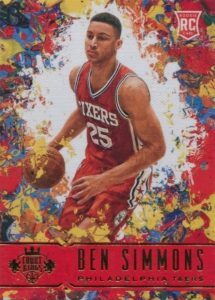 PARALLEL CARDS: Prime #/25 or less (*No card #14, 18, 22), Masterpiece 1/1. 14 cards. Serial Numbered #/149. *Card #6 found only in base set. 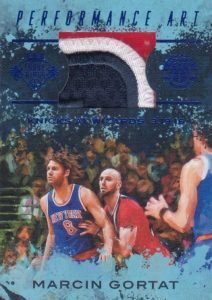 PARALLEL CARDS: Sapphire #/25, Masterpiece 1/1 (*Card #12 - #/5). 10 cards. 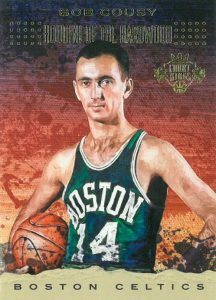 Serial Numbered #/150. 15 cards. Serial Numbered #/249. 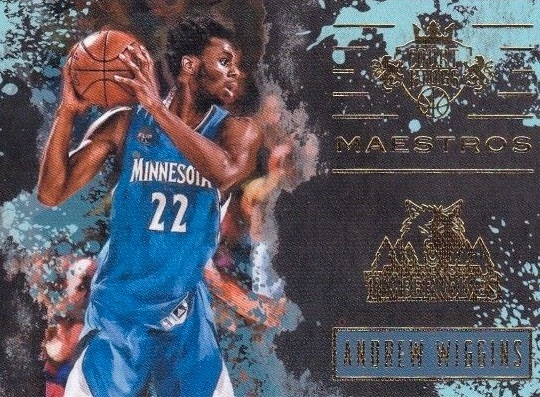 PARALLEL CARDS: Ruby #/75, Sapphire #/25, Emerald #/10, Masterpiece 1/1. PARALLEL CARDS: Prime #/25 or less (*No card #11, 26), Masterpiece 1/1. PARALLEL CARDS: Prime #/25 or less (*No card #15, 17, 19, 20), Masterpiece 1/1 (*No card #17, 20). 22 cards. 1 per case. 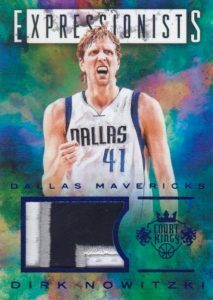 The product details say that there are 20 box topper autos, yet the checklist says there are 22. Also, there are no cards 1 & 10 in the checklist. What’s going on with that set? The product profile info was based on preliminary details. 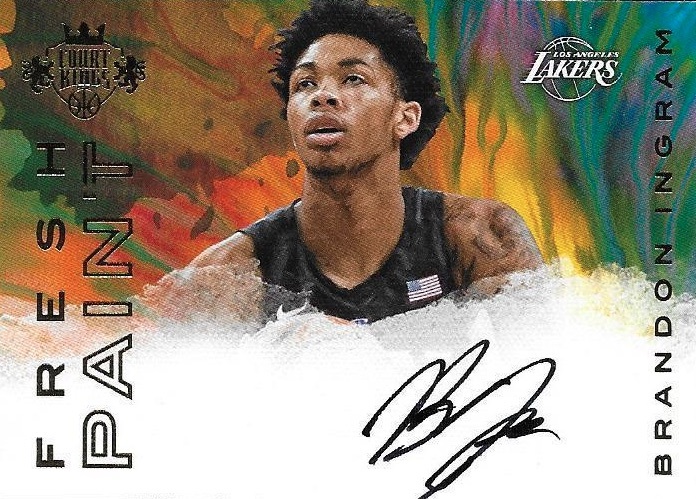 Panini regularly leaves number gaps in their autograph set checklists.